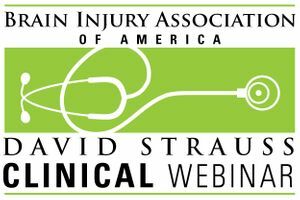 A David Strauss Memorial Clinical Lecture webinar featuring Bridget Lowery, M.S., CBIST, and Jessica Chappell, M.A., CBIST, Main Line Rehabilitation. Aired live October 25, 2016. What are common executive function deficits as a result of brain injury? How are those deficits treated in rehabilitative settings?